Japan boasts an impressively large and growing body of native-grown mystery fiction that dates back to the 1920s. A widespread perception exists that this genre developed as an offshoot of imports from the West, but this is not quite the case. When it comes to Japan’s crime-related literature, China can claim introduction rights. Ihara emulated a work from almost five centuries earlier in China, titled “Tang Yin Bi Shi,” or “Parallel Cases From Under the Pear Tree,” which entered Japan via Korea in 1619. Ascribed to a Chinese official named Gui Wanrong and published around 1207, the work was a treatise on criminal justice procedures, containing brief accounts of 144 notable civil cases recorded between the pre-Han (206 B.C.) and Northern Song (960-1127) dynasties. It was intended as a reference for magistrates and other government officials, and to facilitate comparison, similar cases appear in sets of two. After the classical Chinese text was translated into the Japanese vernacular, the book circulated among general readers and Ihara was inspired to follow suit with cases in Kyoto. 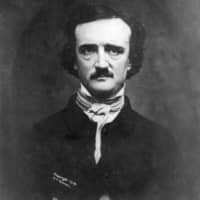 Now we move ahead to 1841, when American author Edgar Allan Poe published “The Murders in the Rue Morgue.” Japan’s policy of national seclusion was still in force and European languages were unfamiliar to all but a few Japanese. 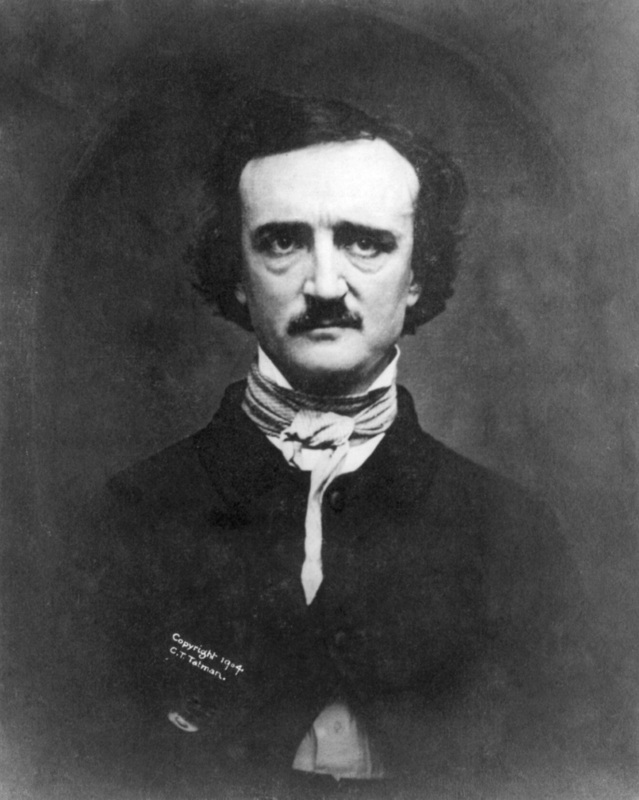 This was to change rapidly during the bunmei kaika era of civilization and enlightenment that characterized the Meiji Era (1868-1912), but four decades were to transpire until translations of Poe’s stories began to reach Japanese readers. For example, Koson Aeba’s translation of “The Black Cat” (1843) was only serialized in the Yomiuri Shimbun in 1887 — a time lag of 44 years. But, by the late 1880s, a growing stream of fiction by American, British and French authors began appearing as serializations in Japanese newspapers and journals. The reverse process — the first translations of Japan’s native-grown crime fiction into English — did not take place until the middle of the 20th century. About three decades passed between the publication of early short stories and novellas by Edogawa Rampo (the pseudonym of Taro Hirai, 1894-1965), penned in the 1920s, and Tuttle’s publication of “Japanese Tales of Mystery and Imagination” in 1956. The next book-length anthology, “Ellery Queen’s Japanese Golden Dozen: The Detective Story World in Japan,” also from Tuttle, appeared in 1978. By the time Edogawa Rampo’s stories made their appearance in English, mainstream Japanese crime fiction had sharply changed direction. Stories featuring “genius sleuths” — in the Sherlock Holmes mode — popularized by Edogawa and his contemporaries, such as Seishi Yokomizo (1902-81), were being challenged by so-called “social crime novels,” a style pioneered in the postwar era by prolific author Seicho Matsumoto (1909-92). Matsumoto’s works often embraced social themes such as political corruption and coverups by powerful groups or individuals who were pursued by tenacious policemen, journalists and attorneys. These works attracted a wide readership, and served to popularize mystery fiction On the other hand, their appeal to non-Japanese readers was more limited, due in part because many were loosely based reconstructions of actual events in the Truman Capote style, which required readers to be familiar with the original stories. While translations are numerous, Matsumoto’s works have not aged well. The plot of bestselling 1958 novel “Points and Lines,” his first full-length novel to be translated into English, is spun around the seemingly airtight alibi of a murder suspect who could not have been in Kyushu and Hokkaido on the same day, and seems strangely archaic in the jet age. Three decades ago, American John Apostolou, mystery critic and co-editor of the 1987 short story anthology “Murder in Japan: Japanese Stories of Crime and Detection,” observed that the sum total of all Japanese mystery titles available in English translation was fewer than a single month’s output by Japanese authors. Happily that number has increased considerably. Even though perhaps only a half-dozen new titles appear every year, the total body of work makes for a fairly large and diverse selection, ranging from police procedurals and eccentric amateur detectives to the exploits of master criminals. The current selection (including out-of-print titles) includes some outstanding works by female authors, beginning with Shizuko Natsuki (1938-2016) who wrote novels such as “Murder at Mt. Fuji,” and is also represented by such sub-genres as juvenile mystery fiction and sagas of swashbuckling samurai who enforced the law in the pre-modern era.